The 2018 edition of Crunchyroll Expo is this weekend, and there are a handful of premieres planned for the occasion. One of them comes from ELEVEN ARTS Anime Studio, which will be screening the U.S. premiere of Studio Colorido’s Penguin Highway anime film. According to ELEVEN ARTS’ Facebook post, the premiere goes down on Sunday at 11:45am, so be sure to hit it up and let us know how it is if you’re heading to CRX! 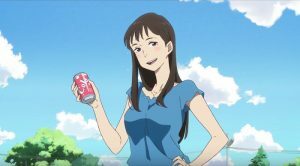 Penguin Highway is based on the 2010 novel by Tomihiko Morimi, who also wrote the source material for The Tatami Galaxy and The Eccentric Family. The Hiroyasu Ishida-directed film just opened in Japan on August 17.